Innovative. Precise. To the point. 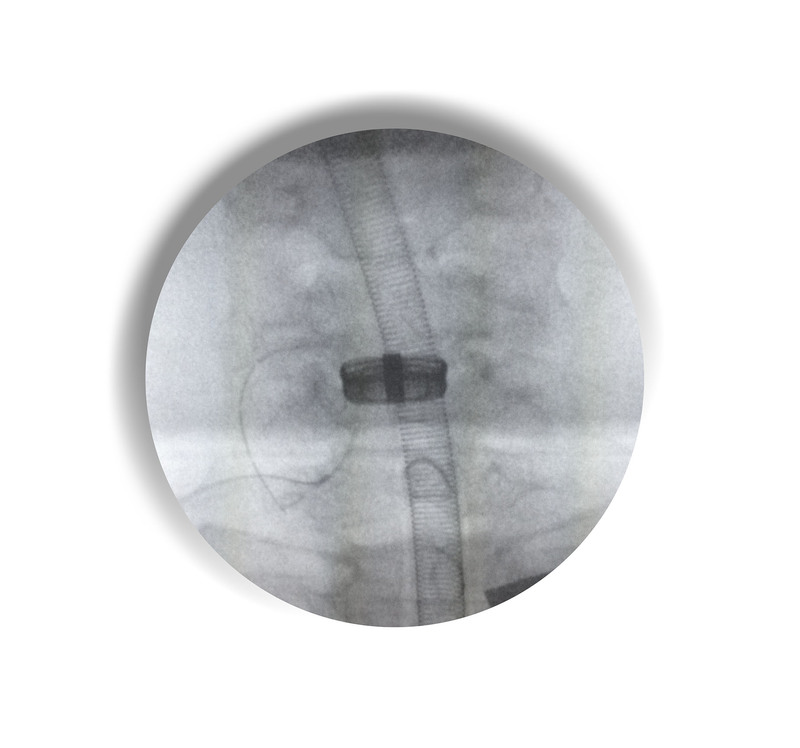 The oyster® Cage is the ideal solution for cervical fusion. 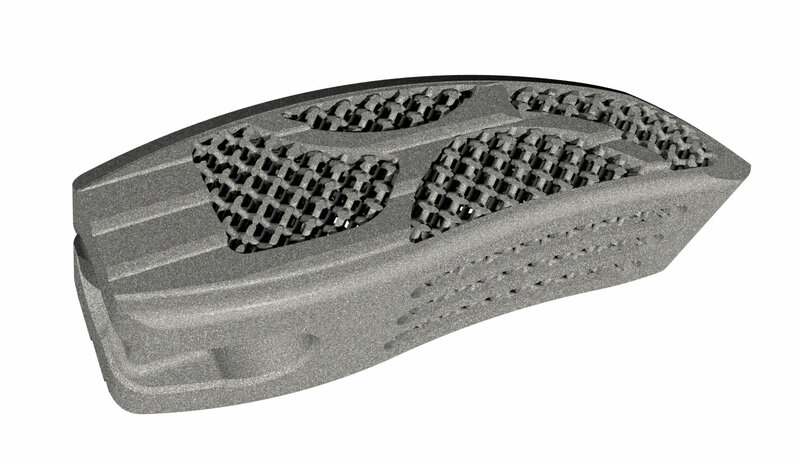 oyster® combines excellent functionality, innovative materials, and anatomical design. 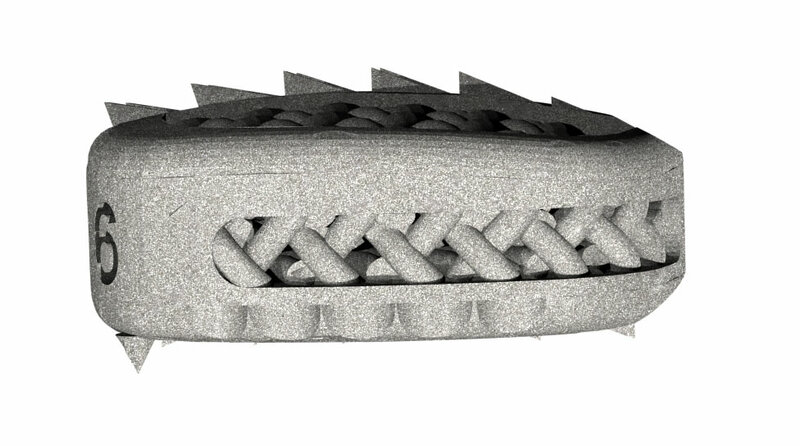 The sintered titanium mesh gives the oyster® cage a special roughness for optimal osseointegration. 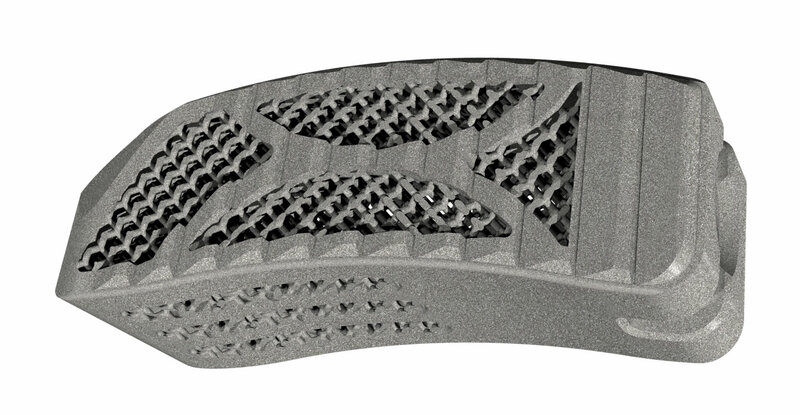 The design of the oyster® cage achieves all the features required for safe implantation: anatomical dome shape, spikes for secure grip, and lordotic balance thanks to its 3° angle. 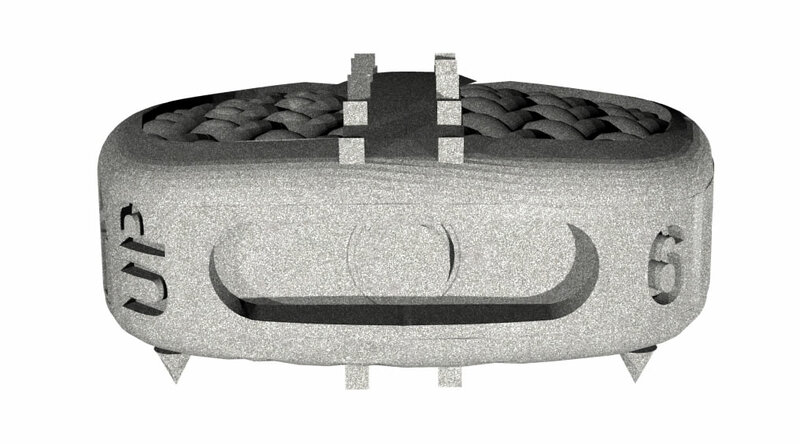 The low titanium content of the oyster® cage - relative to its total volume - reduces image artifacts of postoperative MRI scans. Ventral. Interbody Fusion. Stand alone. 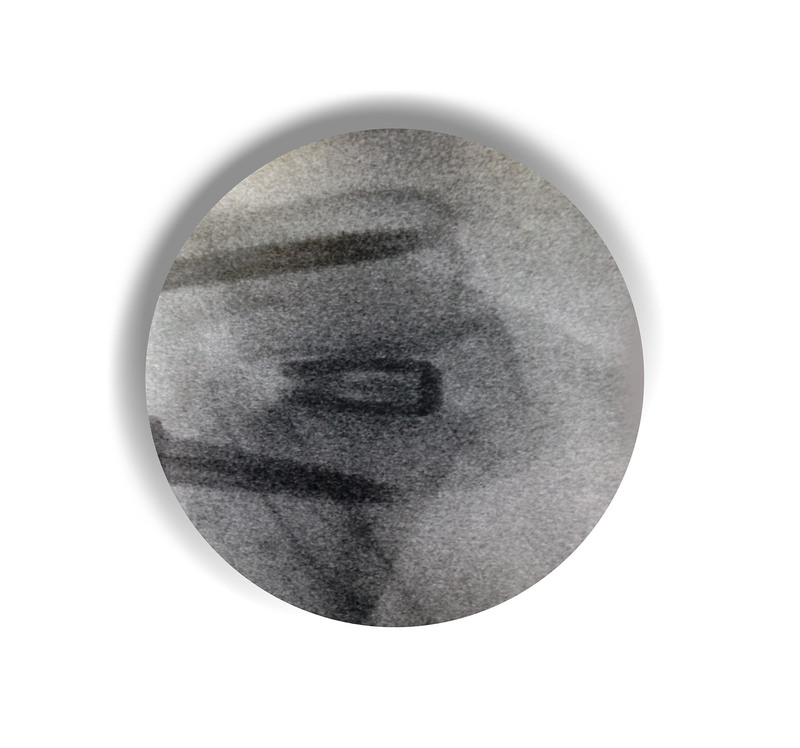 ti²b - titanium to bone. Innovation. Fulfillment. 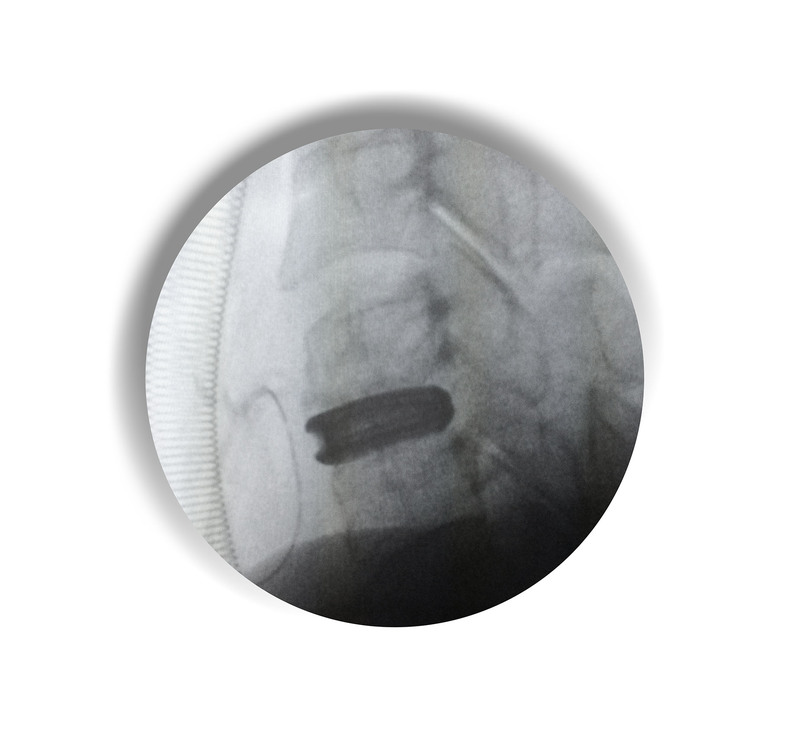 The dolfyn® lumbar Cage impresses with its ti²b - titanium to bone - SLM Selective Laser Melting technology and anatomical design for the perfect ventral position. 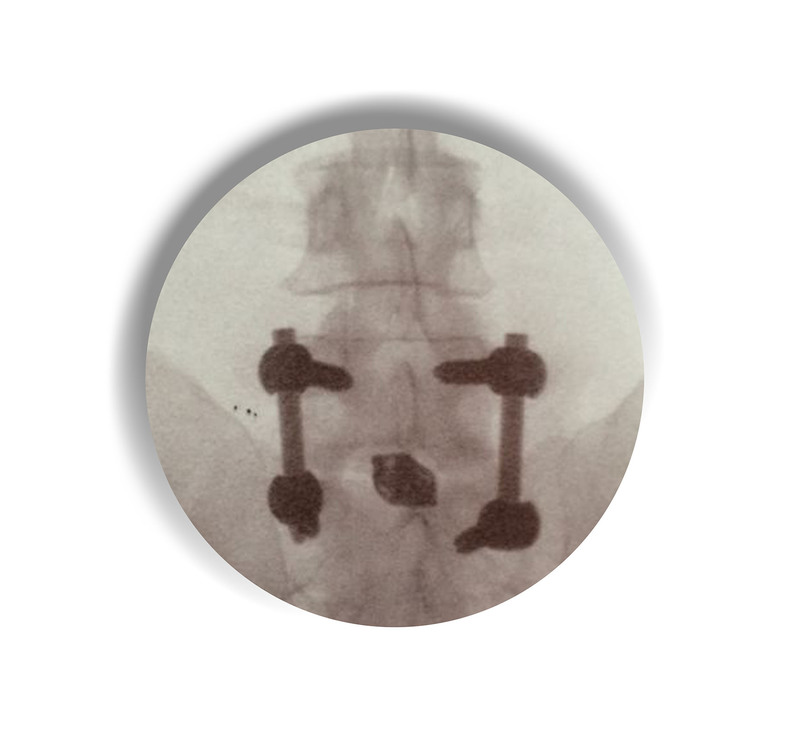 ti²b - titanium to bone is our product line of the latest generation. 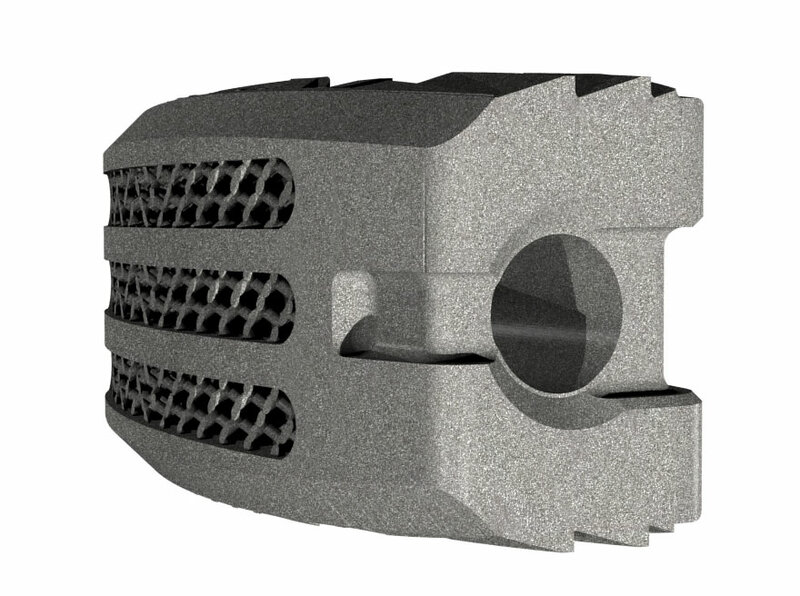 SLM - Selective Laser Melting - is the manufacturing process specifically designed for these high-quality implants. 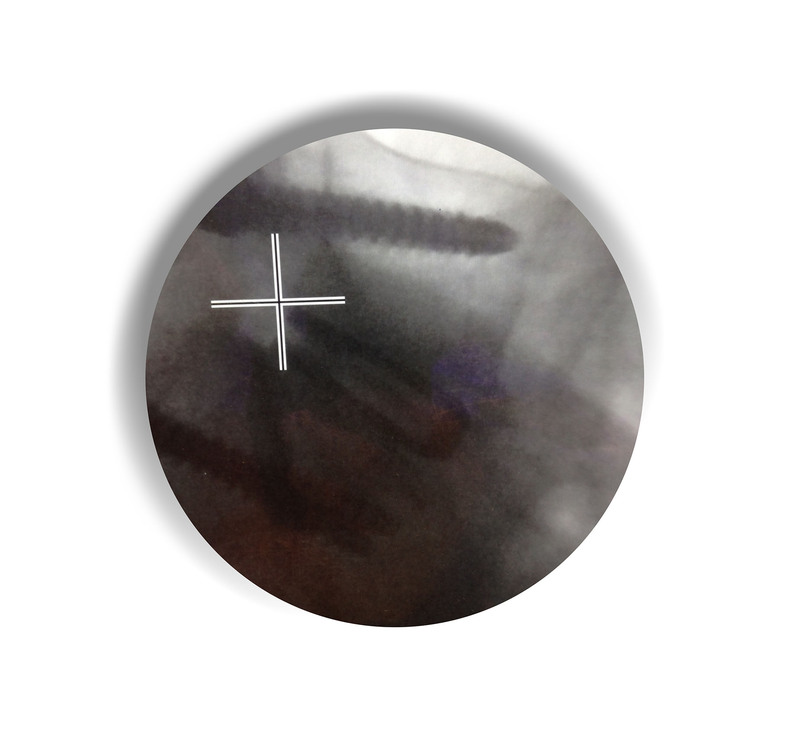 The surface roughness provides the best possible osseointegration. 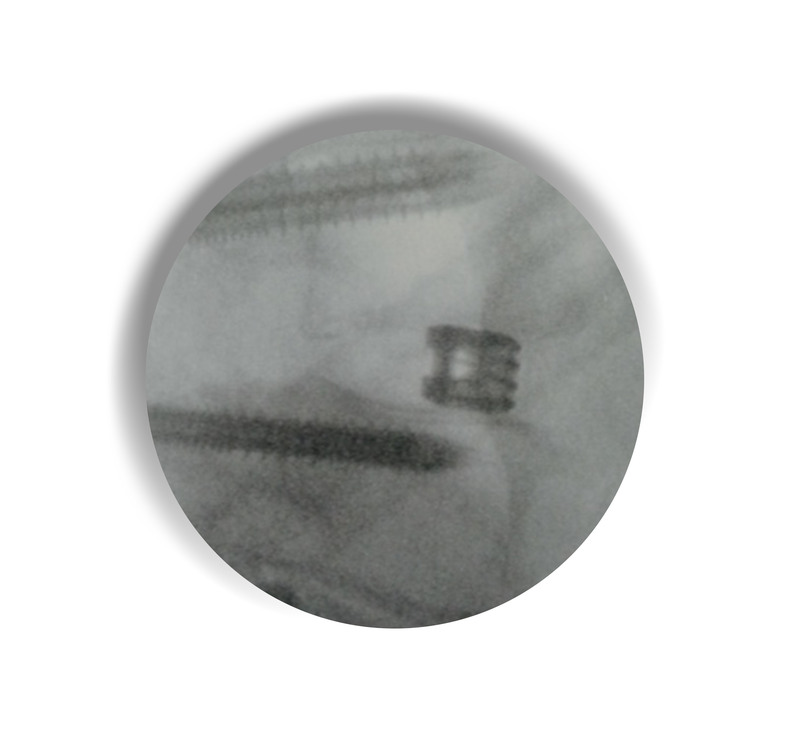 Another outstanding feature of the ti²b is the grid structure throughout the implant. 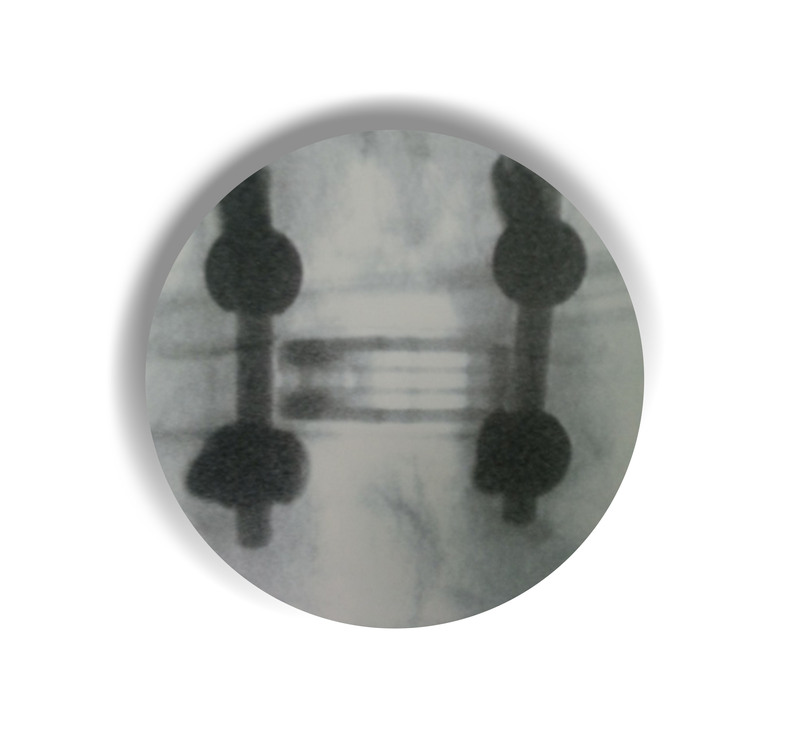 With this technology high stability will be obtained as well as low artefacts on MRI images. 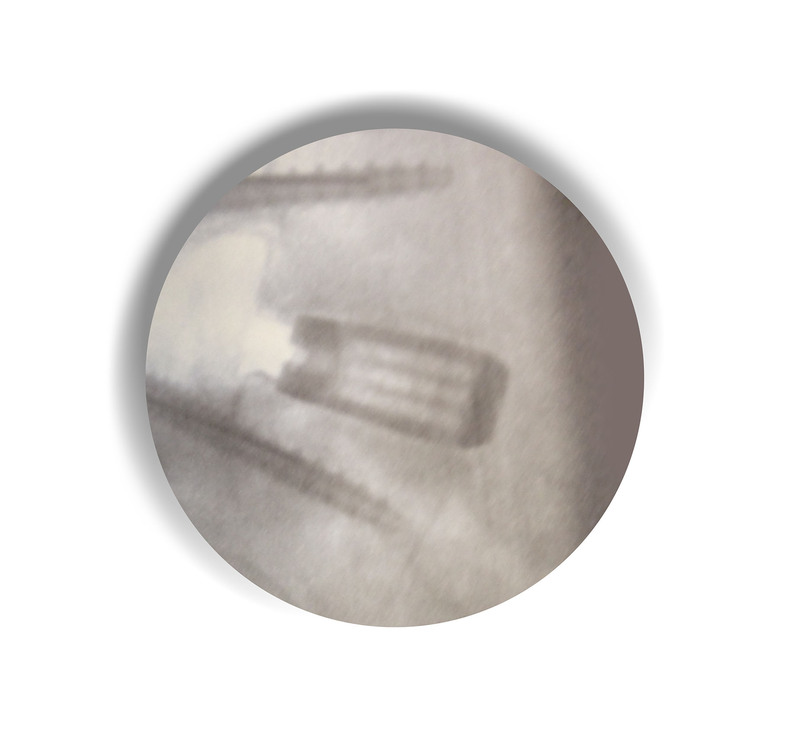 dolfyn® cage has an anatomically adapted congruence and a shape specifically designed to secure the ventral position. PLIF | OLIF. Perfected. Fulfillment. 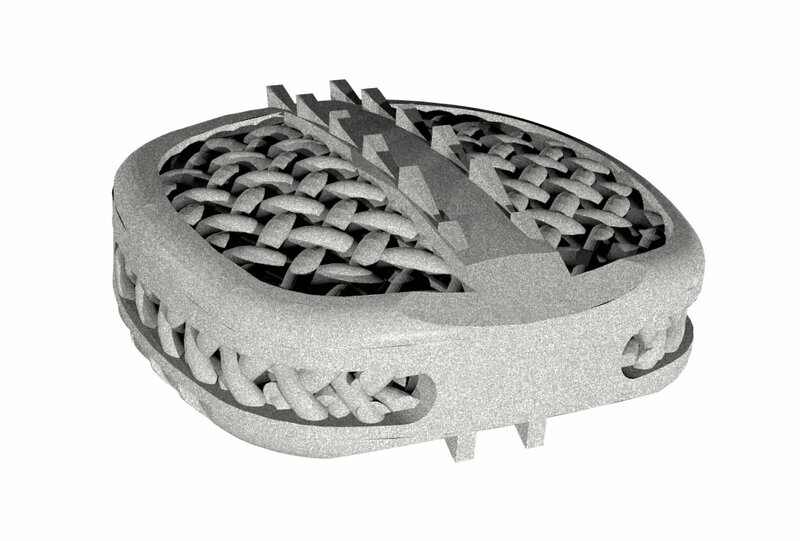 The sharx® lumbar Cage impresses with its ti²b - titanium to bone - SLM Selective Laser Melting technology and flexible application (PLIF | OLIF). 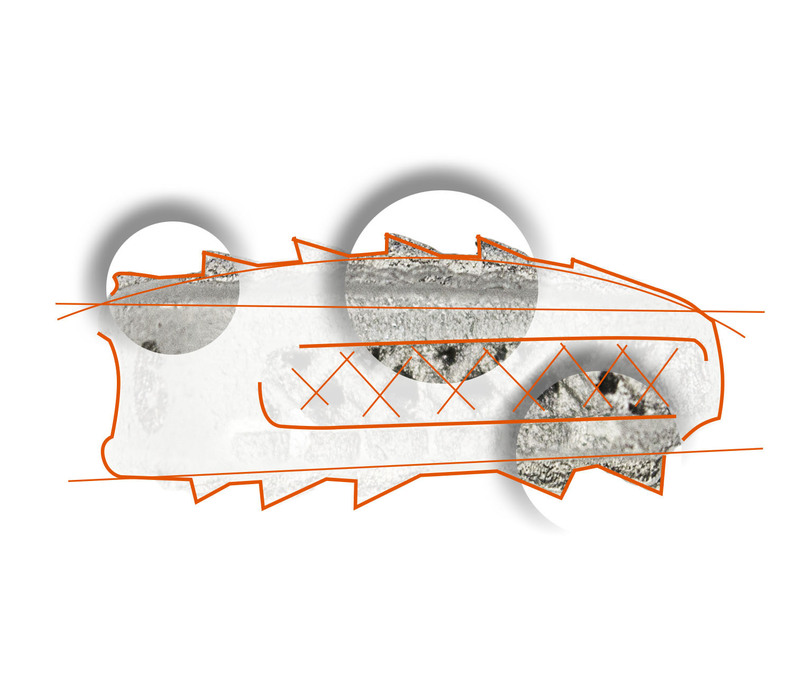 sharx® Cage has an anatomically shaped surface, a slightly wedged shape, and a flattened tip in compliance with the end plates. © 2016 Ti2b International All rights reserved. The information in this website is intended for healthcare professionals. If you are a patient, consult a healthcare provider regarding treatment options and medical advice.